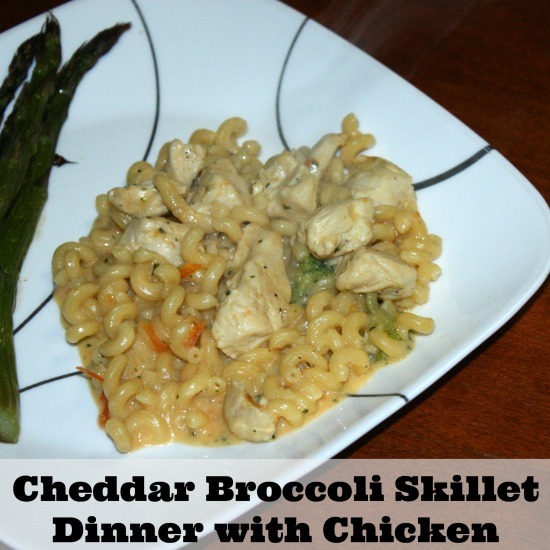 This post featuring my Cheddar Broccoli Skillet Dinner with Chicken Recipe is brought to you by Giant Eagle. All opinions are 100% mine. I am all about saving money while giving my family a dinner that they will love. With a family my size, I really do need all the help I can get getting an inexpensive dinner on the table, quickly. While I love making dinner from scratch, sometimes using something as a jump start can save me money and time. 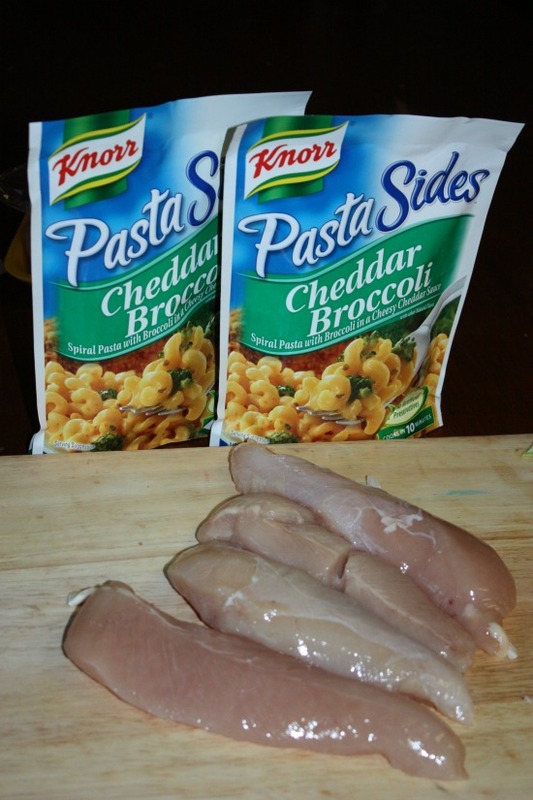 Knorr Sides is a great way to do just that. 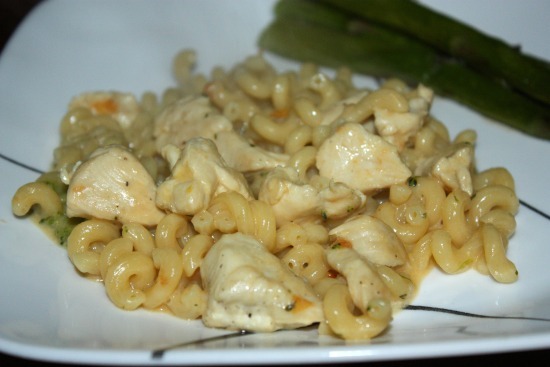 Using a recipes from the Free Recipe Book, I can make a dinner to feed my family for under $10. As a bonus, if you stop into one of the Giant Eagle stores and buy $10 in Knorr sides at 10/$10, you will get a $3 off frozen cooked or uncooked shrimp from the seafood department to use on your next visit. I love how easy this recipe is to make. It is also great on any budget. It costs less than $10 to make and feeds a large family. It only takes a few ingredients and the kids love it. I can make this no matter how busy our week night gets. 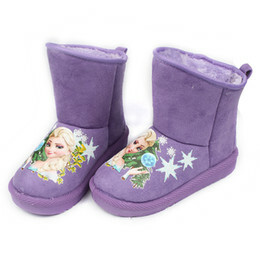 It is easily made in under 30 minutes. Add a little salt and pepper to the chicken. I prefer to cut my chicken into bit sized pieces. It is a great way to stretch a little chicken and have it go a longer way. You can leave it whole or cut into pieces. Melt the spread in large nonstick skillet over medium-high heat. Cook the chicken until it is cooked through. Remove chicken and set aside. Add tomato and saute for 3 minutes. Add garlic and cook 30 seconds. Stir in water and milk and bring to a boil over medium heat. 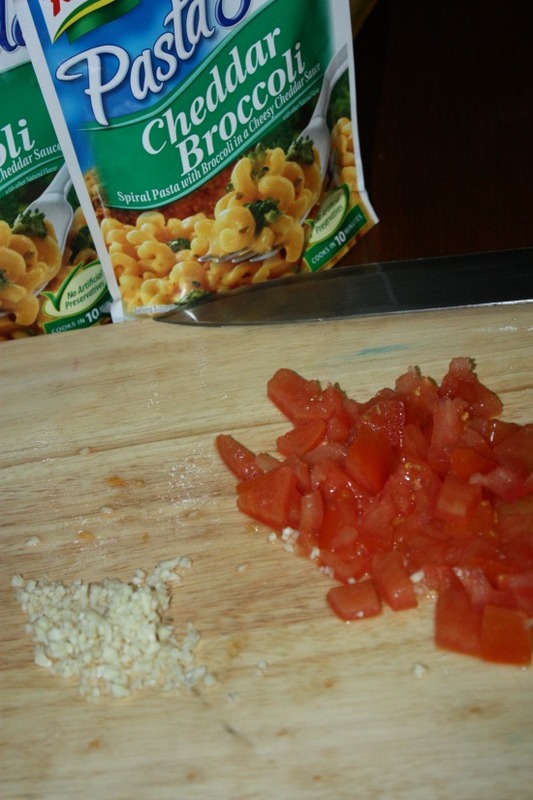 Stir in Knorr® Pasta Sides™ – Cheddar Broccoli and continue boiling over medium heat, stirring occasionally, 10 minutes or until pasta is tender.